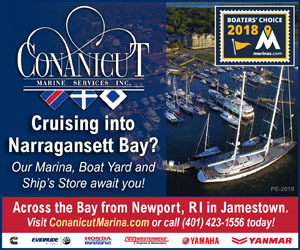 Your power or sail boat delivered wherever you need it. Owners welcome on deliveries. Also available for instruction. Captain Tim. 603-770-8378. This year, have Gemini Canvas service your bimini or dodger. Professionally cleaned w/ water-repellent treatment. No dip-dunk tanks, only industry approved cleaners that work. We ship UPS, call us at 207-596-7705. Maine Veterinary Medical Center now offers Ophthalmology; schedule an eye exam with our Board Certified Ophthalmologist for your cat or dog today. Dr. Sarah Blackwood is taking immediate appointments. 207-885-1290. Best rates, 30 years experience. Fully insured, reliable service, professional drivers. Nation-wide and Ocean freight. Rob Lee, Maritime. 508-758-9409. Boatyard Equipment. Maine Veterinary Medical Center specializing in canine and feline internal medicine, neurology, neurosurgery, surgery, CT scanning and MR imaging and walk-in emergency services. 24/7/365. 1500 Technology Way in Scarborough off Route One. Worry-free heated storage, conscientious care in new building. 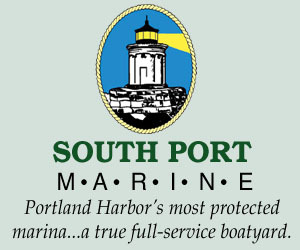 South Bristol offers ideal location amid Midcoast Maine's spectacular cruising grounds. Competitive rates. Fine repair services, too. Reserve now: 207-644-8181. Northern end of Rockland Harbor, well protected. Contact Ocean Pursuits. 207-596-7357.
with 20" shaft in excellent condition. Price $800. For more information call 207-596-0706 . Cruiser's dream - dependable under power, adds speed under sail. Custom crafted and serviced in East Boothbay, Maine since 1960. Paul E. Luke 207-633-4971. Norwalk Harbor, 1000# mushroom. Chain, line, buoy. Previously for 47' sailboat. $995 firm ($1800 new). Contact Fred, 860-227-7397. Free, long-established monthly publication delivered to 500+ locations in eight coastal states, North Carolina to Texas. Includes two websites. Owner retiring. Located Tampa Bay. Give your engine and equipment the best protection available, AMSOIL. Order online for delivery direct to your home or place of business. Visit www.hightideoil.com today to learn more about AMSOIL synthetics, available discount programs and to place an order. WWW.HIGHTIDEOIL.COM is an Independent AMSOIL Dealer website. 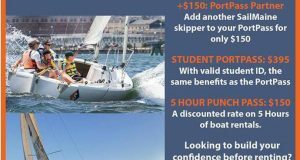 Manager or new owner for 15 year old sailing charter business/school in Wellfleet, MA. Cape or nearby resident preferred. Consistent revenue. Will train. Canadian built hydraulic trailer. Transports boats up to 10,000 lbs. Handles cradles 7 ft. to 14 ft. and up to 72" wide. Easy selfhandling. $8,000. Email or call 207-763-4695 evenings. Owner of 1982 Nonsuch 36 interested in non-equity sharing or partnership arrangement. Boat currently located New London, considering move to Maine/Casco Bay. New to this, open to various ideas on the concept. Winter sale at Jeff's Marine 207-354-8777 on all 2016 model-year engines and all 2018 and earlier model-year F20s.